In ancient times, the area known as the Fertile Crescent was a hothouse of innovation. So, too, were the civilizations and cultures developing separately at around the same time across China, Africa and the South Americas. The Neolithic Revolution marked a big step-change in human history during the period from 4,500 B.C. to 2,000 B.C. Humans began the systematic husbandry of plants and animals. Agriculture advanced, and most people transitioned from a nomadic lifestyle to a more stable one, able to become farmers in more permanent settlements. Then, as now, tablets were the tools for social and cultural development. The Cuneiform, Tărtăria and the Dispilio were the first ones known to mankind. They were used to record the previously un-recordable in terms of inventory, enabling new forms of communication along the way. 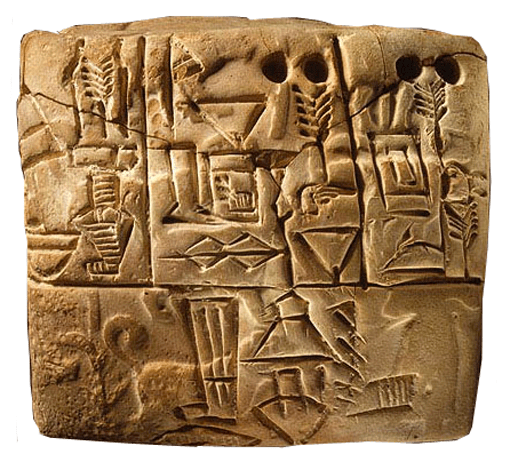 Creating inventory on early tablets was the original manifestation of ‘big data’. These stone tablets allowed for information to be transmitted through symbols, words and hieroglyphics. They produced the first collective understandings that could be shared. They created culture, using new forms of communication and language. In doing so, the groundwork was laid for social assumptions to be made about what existed, where, and why. Even though that epoch in time is a world away from ours today, parallels exist from back then that we can draw on to make sense of this new emerging digital world. The ancients used the physical land to produce resources and they gathered their inventory through tools of information. They then used that recorded information to create social norms and to build citadels. In the digital world, abundance comes from ploughing the information superhighway. The internet is the richest and biggest tract of knowledge that has ever existed. It connects more human potential together than has been avaiable, and it has the scope to be a ‘Fertile Crescent’ for the next age. What can we do when we can count our inventory today in the same way as the ancients did? History tells us the process of accruing big and open data, creating quantified organisation and state formation in some ways has changed little from those days of our early ancestors.